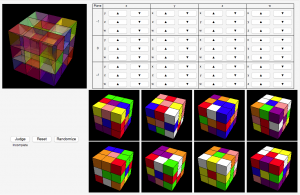 I made a program of 4D extension of the Rubik’s cube. 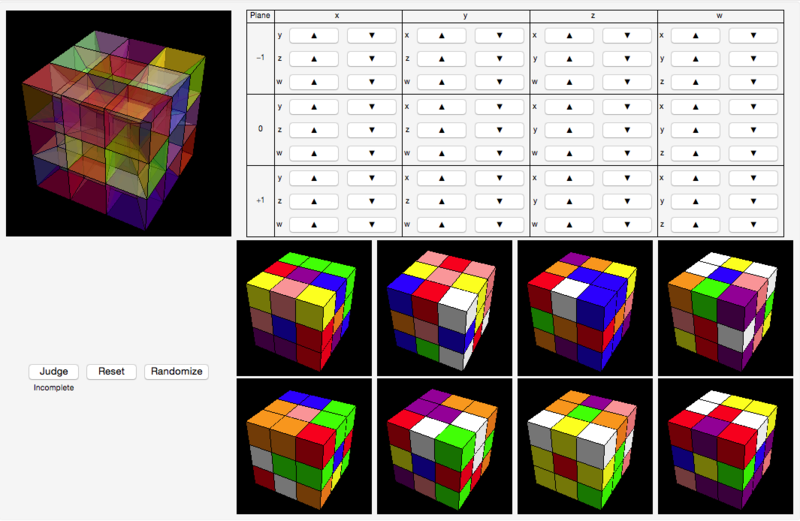 I call the program the Rubik’s hypercube. It works on the Wolfram CDF player. Please contact me if you interested in this program. This was written by Takashi. Posted on Monday, September 28, 2015, at 20:21. Filed under Default. Bookmark the permalink. Follow comments here with the RSS feed. Post a comment or leave a trackback.